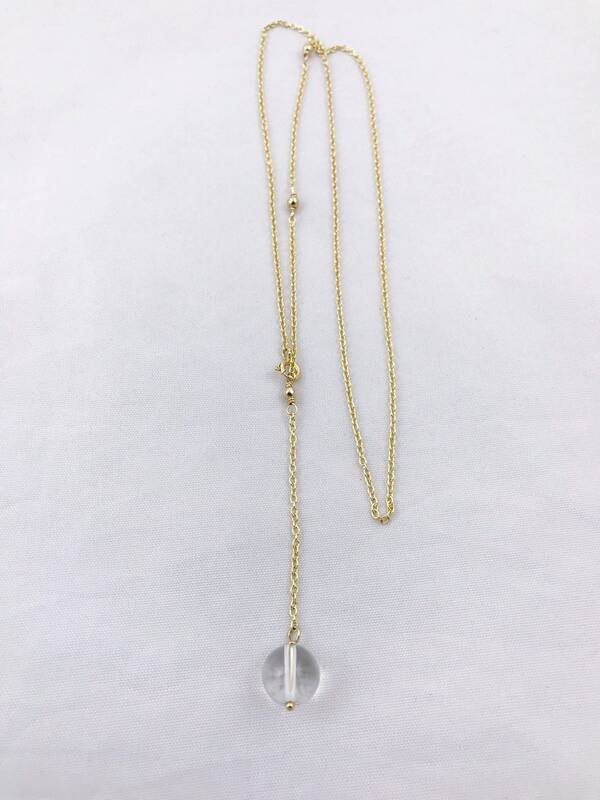 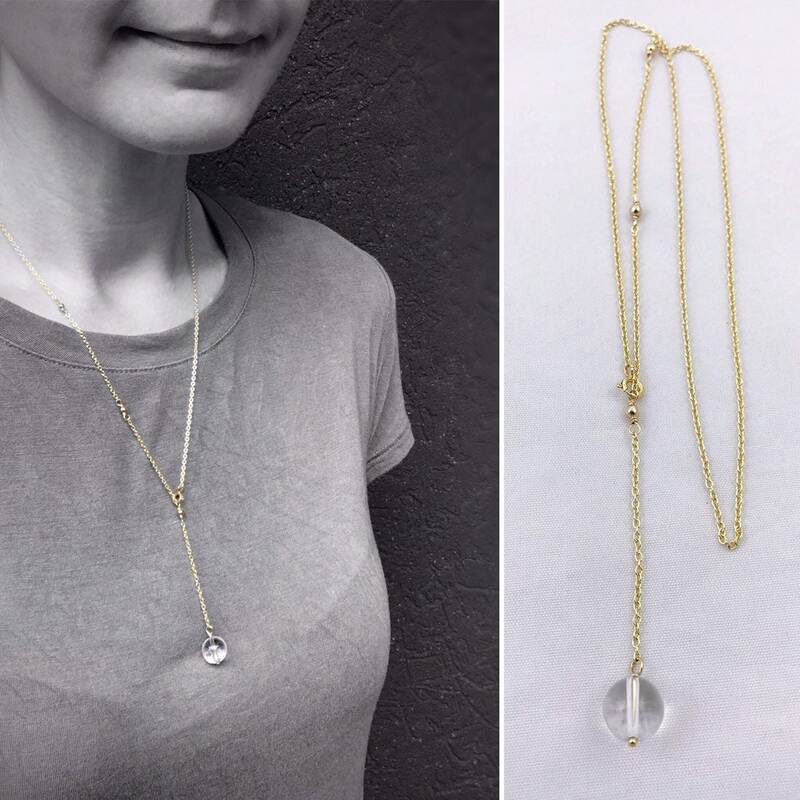 Inspired by the 1920's Art Deco "Pools Of Light" jewelry designs, a luminous genuine quartz crystal orb dangles and catches light beautifully as the focal point of this "Y" style lariat necklace. 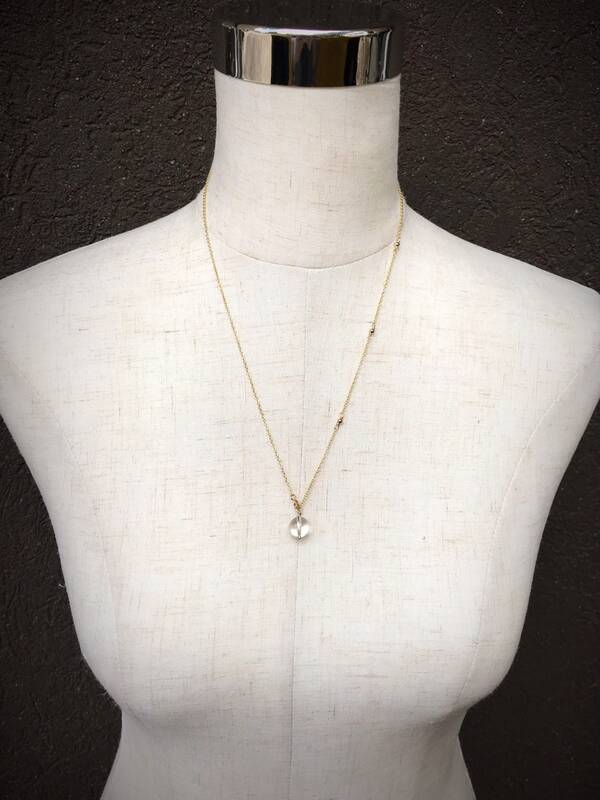 14k yellow gold filled chain and 14k yellow gold filled findings complete the design. 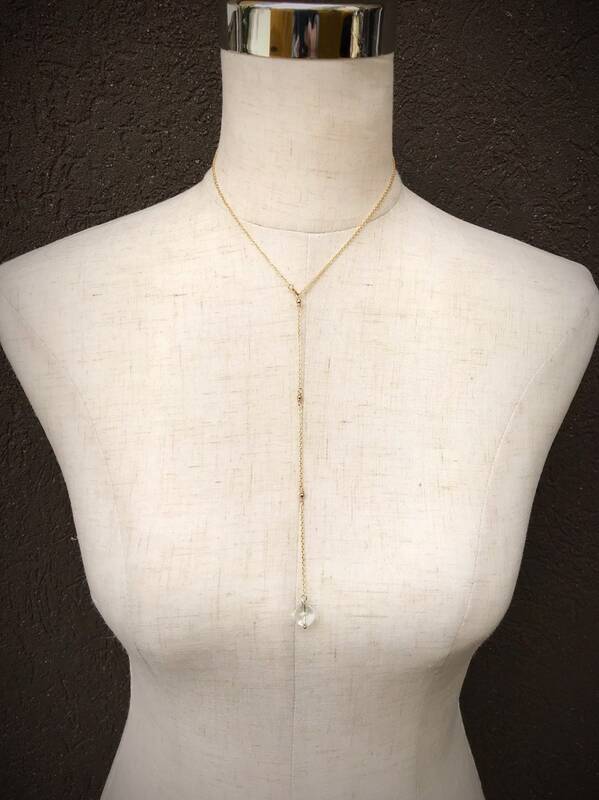 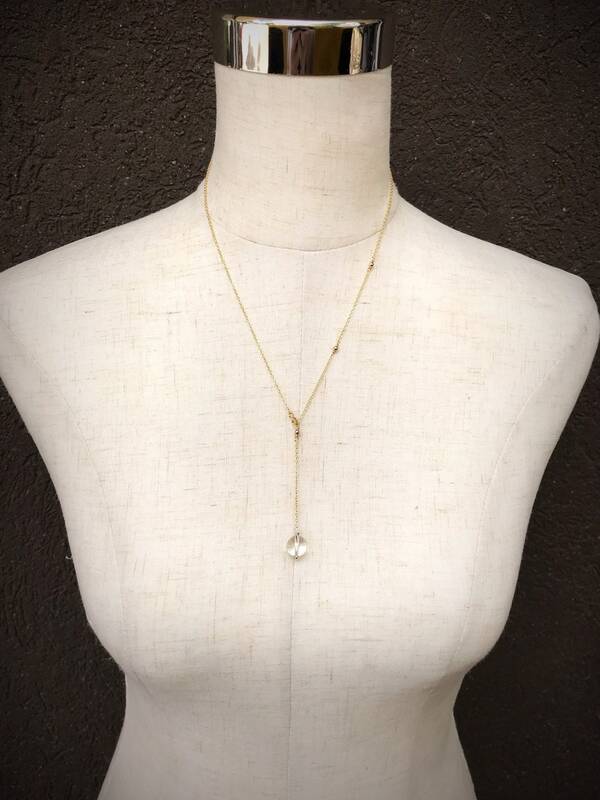 A nod to the golden age with a modern minimalist aesthetic, this necklace is versatile, adjustable and so much fun to wear alone or layered with other necklaces. 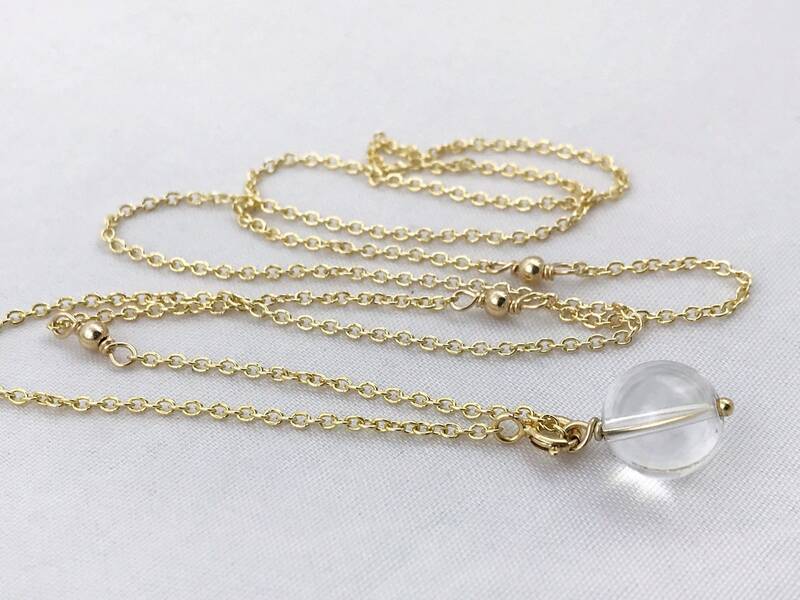 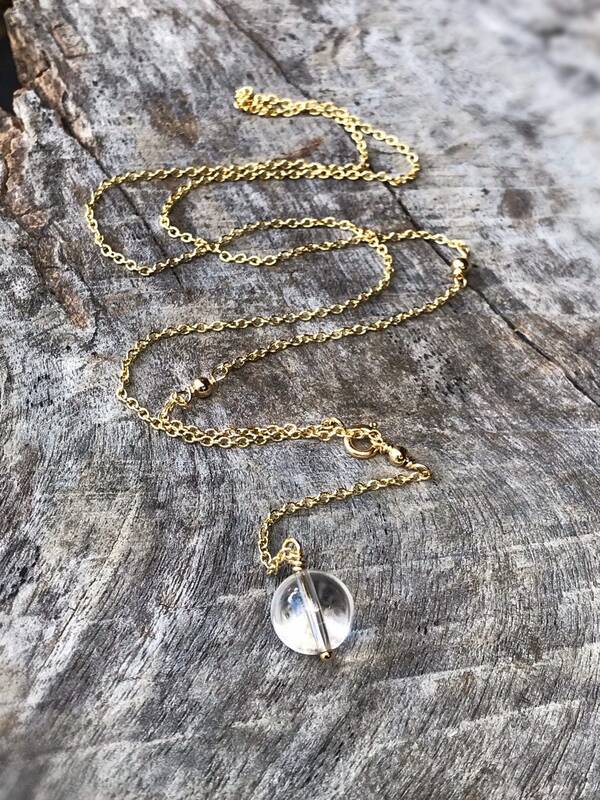 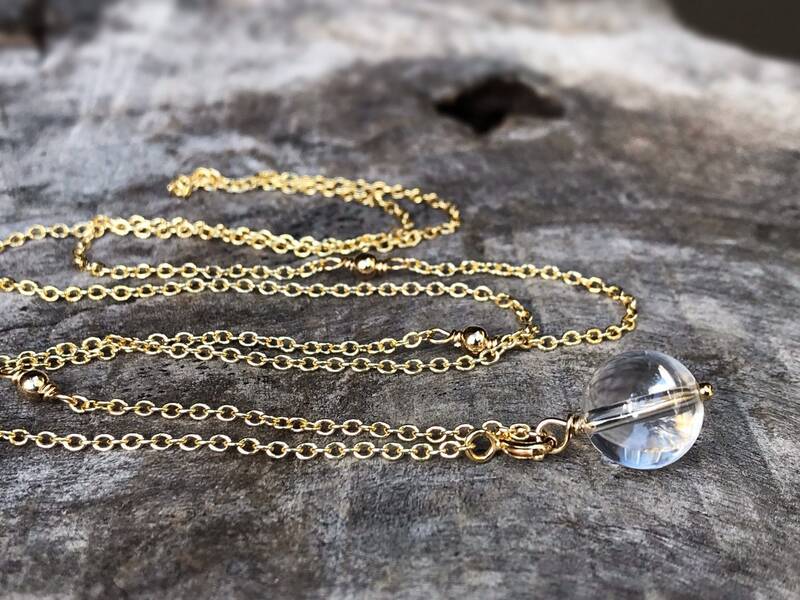 -Quartz orb is mounted on a 14k yellow gold filled ball end headpin which runs through the center of the orb. -Necklace chain and all findings are 14k yellow gold filled. 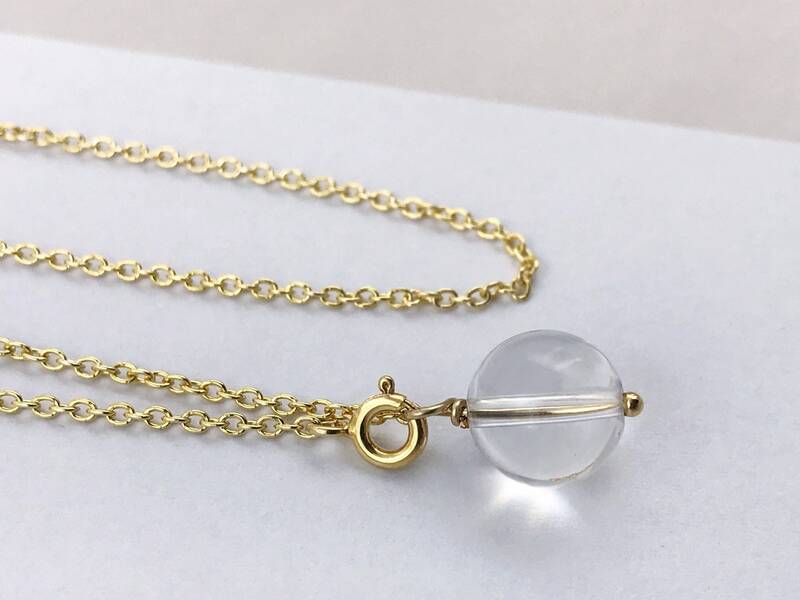 -Chain is a 14k yellow gold filled 1.5mm width cable chain with spring ring clasp, and 14k yellow gold filled bead links which clasp can hook onto.